In his remarks President Kennedy famously proclaims, "Ich bin ein Berliner." 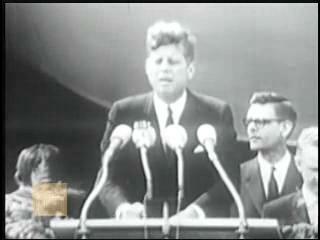 Afterward President Kennedy attends a ceremony at Berlin Free University and addresses the crowd, and finally delivers farewell remarks and departs Berlin.... * When J. F. Kennedy made his famous Ich bin ein Berliner speech, the German audience understood what he was trying to say and applauded but the punctilious German interpreter said �I am a doughnut�. The audience laughed but Kennedy said as an aside, �It is just a translator�s quip�. 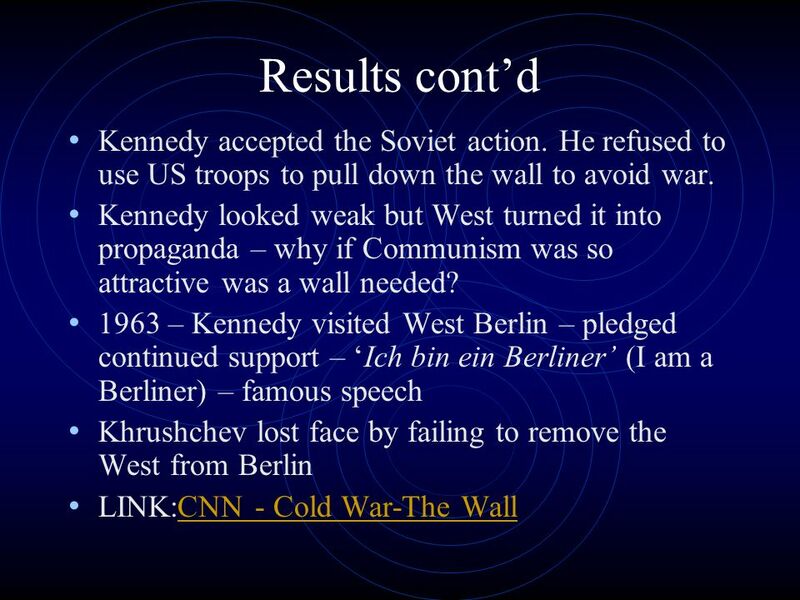 This is why Kennedy repeats throughout his speech: �Ich bin ein Berliner�; I am a Berliner. 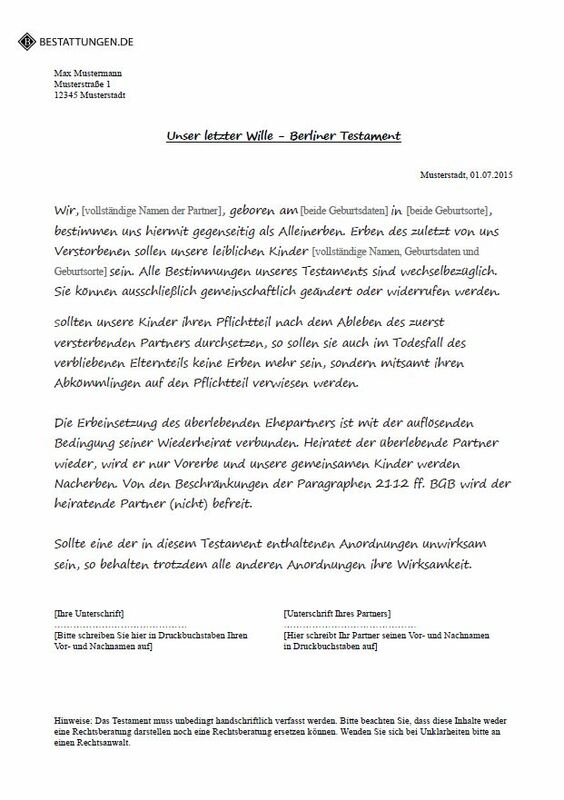 It essentially becomes clear that the pattern of this speech was to express support and understanding from the United States in order to gain the trust and support from Berlin and Kennedy executed this intention perfectly.